The ‘Reiki Resources’ Section is a general information and reference tool for persons interested in learning more about Reiki. 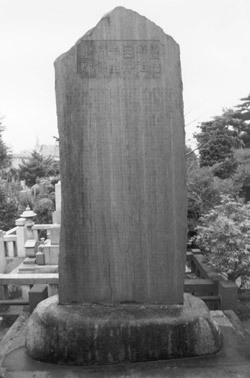 Mataji Kawakami Created Reiki Ryoho in 1914. Author of Reiki Healing and Its Effects Published 1919. 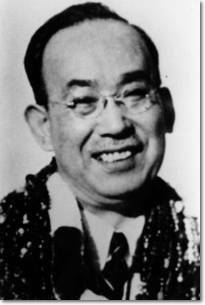 In 1914, Matiji Kawakami, a Japanese therapist, created a healing style he called Reiki Ryoho and in 1919, he published a book titled Reiki Ryoho to Sono Koka, or Reiki Healing and Its Effects. The other Reiki healing styles in use at the time were: Reikan Tonetsu Ryoho created by Reikaku Ishinuki, Senshinryu Reiki Ryoho created by Kogetsu Matsubara and Seido Reishojutsu created by Reisen Oyama. 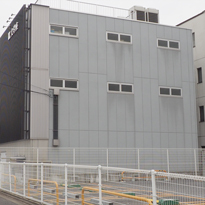 It was during the time that these Reiki styles were already in use that in March 1922, Usui Sensei had his mystical experience on Kurama yama in which he was given the Reiki energy and from this developed his style of Reiki, which he called Usui Reiki Ryoho. 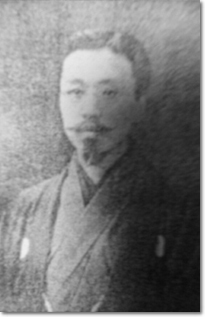 It is interesting that Usui Sensei chose this name as it tends to indicate that he knew of the other styles of Reiki Ryoho in use and was indicating that this was his style of Reiki Ryoho. And because of circumstances that developed during World War II along with the work of Takata Sensei mentioned later in this section, the other forms of Reiki fell into disuse or remained relatively unknown while Usui Reiki continued to be practiced and grew in popularity. Be diligent in your business. The text above is reprinted from Reiki the Healing Touch by William Lee Rand. 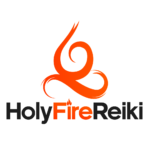 Holy Fire® Reiki is a type of Reiki energy and a system of Reiki healing based on Holy Fire energy. Mentioned in the Bible, Holy Fire energy has been active in the world since ancient times. Based on sessions with the late Janice Jones, a spiritual adviser, our understanding is that God, working through the Holy Spirit created Holy Fire energy and Jesus is the one who first brought this healing energy to the Earth. 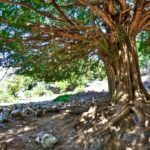 While the words Jesus, God and Holy Spirit, are used in religion, in the practice of Holy Fire Reiki we do not consider them to be religious but instead, consider them to be spiritual in nature. 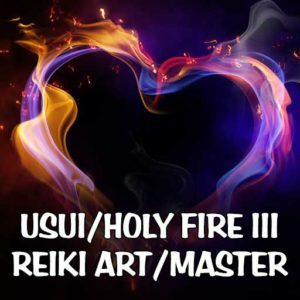 It is important to keep in mind that the entire Holy Fire® Reiki system is not something I designed or created but something that came to me as part of healing sessions I had with two talented spiritual healers who channeled illumined beings. While Jesus is the spiritual master who introduced Holy Fire Reiki, he is also part of a group called the Brothers and Sisters of the Light. This group is a combined force of all illumined beings and includes those beings from which all the world’s religions and spiritual paths have originated. Previously they were in the formless world but came into the world of form so they could assist us in the development, teaching and use of Holy Fire Reiki. Its expression as a Reiki healing system moves Holy Fire energy from being an experience that has happened occasionally to those fortunate enough to experience it, to being an energy that can be utilized on a regular basis by anyone initiated as a Holy Fire® Reiki Master. This training takes place in the Usui/Holy Fire ART/Master and Holy Fire Karuna Reiki® Master courses. 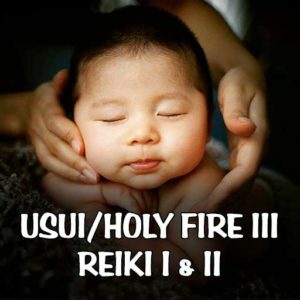 The energy is also present in the Usui/Holy Fire® versions of Reiki I and II. I first experienced Holy Fire® Reiki energy on January 23, 2014, when Janice channeled the energy from Jesus. I presented it to my Reiki Master class a few days later and the students indicated that they experienced it to be a stronger healing energy and guided by a higher level of consciousness than which any of them had previously experienced. Our Licensed Reiki Master Teachers (LRMTs) received the ability to use this energy during attunements with myself and also directly in sessions with Janice Jones. They also agreed that there was a perceptible improvement in the quality and strength of their Reiki energy. Each began using this energy in sessions and teaching it to students. At this time, the energy was part of the attunement process for the Master level only. Subsequently, the word attunement was changed to Ignition as it appeared that the flame of the Holy Fire® energy was ignited within the student during the attunement. 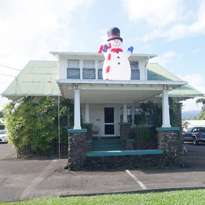 In December 2015, through instruction by Jesus received through Janice, the system acquired the ability to use this energy during Reiki I and II attunements. Because each student appeared to have the energy placed within them, the term for this process changed from attunement to Placement. At this point, it was noted that the overall effectiveness of the Holy Fire energy had increased for all levels of instruction; because of this, we began calling the system Holy Fire® II. 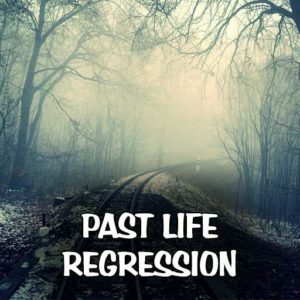 During spiritual healing sessions with Colleen Benelli, who is one of our LRMTs and has extensive training in shamanism and who also received training from Janice, I began receiving information that something new was coming to my Reiki practice, although what it was wasn’t exactly explained. 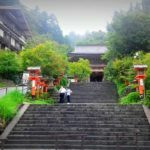 In addition, when contemplating the Reiki classes I was going to conduct at Mount Kurama in Japan, which is the sacred mountain where Usui Sensei had a spiritual experience and was given the gift of Reiki, I was shown that something very important would take place there. Then on September 21, 2018, while conducting those classes, a new level of Holy Fire energy appeared. Colleen provided guidance from Jesus that I was to teach these classes differently. Rather than provide a pre-Ignition as is done in the Holy Fire II classes, I was to change it to a regular Ignition for a total of four Ignitions rather than three as was previously done. The Ignition is conducted by the teacher who provides a short guided meditation lasting five to seven minutes or so and then stops talking while gentle music plays in the background. This process allows the Ignition energy to interact directly with the student’s energy field rather than being channeled through the teacher. The whole experience continues for about 26 minutes altogether. After conducting the guided meditation for the first Ignition and sitting there, allowing the process to proceed for the students without my interaction, I began to inwardly observe a tube of translucent white light in which stars were moving up through it. I must say that this was one of the most powerful spiritual experiences I have had. In addition, when this was happening, I also observed that the three Holy Fire flames which were installed below the navel, above the head and in the heart during my first Holy Fire training were joined together by a shaft of light. Then eventually, they expanded and filled my entire physical body. The effects of this experience lasted for a week or so during which time I traveled to Taiwan and taught an Usui/Holy Fire® III ART/Master class. Then slowly the energy seemed to subside. But then at the end of October, while teaching, it ramped up again then subsided. However, these experiences left a residual effect and I can tell they are conditioning my system to adjust to a higher spiritual energy which will remain steadily present. I was also told that these experiences will continue. Up to this point, which is the first week of November, I have taught eight Holy Fire® III classes. In addition, some of my students have taught and also our LRMTs who were upgraded to Holy Fire® III have also taught classes. Altogether there have been about 200 students who have received the Holy Fire® III energy so far. Many of these students have been Reiki Masters for years and have extensive experience taking Reiki classes, teaching and giving sessions. The effects of the energy reported by these students and those of the other teachers have been consistent. All indicate that the Reiki energy is more effective. Those who had Holy Fire® II report that Holy Fire® III is a definite improvement over what they previously had. Many report that the energy feels both subtle and more powerful and that new healing is taking place, often on an extraordinary level. 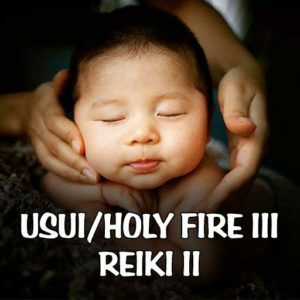 Holy Fire® III Reiki originates from the fourth and fifth heavens which are a very high level of consciousness. It is aware of the dormant parts and can heal them and as healing happens, more of the Authentic Self can emerge. As this occurs, an increasing level of serenity, vitality and joy expresses itself, accompanied by an awareness that this is who you really are. Holy Fire® III is a fire of unity. Its purpose is to unify all people. As one becomes ever more aware of the Authentic Self and begins to assume it as one’s identity, it becomes apparent that everyone has an Authentic Self within them and because of this, it is easily seen that we are all one. The awareness that we are all one makes it easy to accept others regardless of the diversity of race, religion or beliefs, national origin, gender or age. In this way, we can more easily work in harmony with all people to create peace and happiness in the world. This process which is described on the World Peace Grids and which is embodied in the energy of Holy Fire® III has already started to influence the people of our planet and is destined to bring peace to our world which so many have prayed for and worked to create for thousands of years. In Holy Fire® and Holy Fire® II, the energy consists of three spiritual flames; one below the navel, one above the head and one in the heart. With Holy Fire III, if one already has Holy Fire, a shaft of light first joins the three flames together and then the energy spreads throughout the entire body. This action takes place gradually over a period of weeks or a month or more. As this happens, it grounds the experience in present time and in the material world making the experience feel very real. In Holy Fire® Reiki and Holy Fire® II Reiki, we became aware of the three heavens. The first heaven is the material world; the second heaven is a spiritual world in which the ego is still present. We also spoke of the third heaven and beyond. And it was in this realm that the problems of the ego disappear. While we knew there was more, we didn’t have a clear understanding of what was there. With Holy Fire® III, we have also become aware of the fourth and fifth heavens. 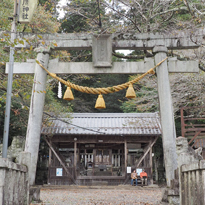 The fourth heaven provides additional healing in preparation for entering the fifth heaven. This healing includes awareness of, and trust in, the idea that a higher way of living life is possible involving the release of unhealthy competitiveness, acceptance of higher guidance and the gift of wonderful new energies that heal and empower you. When revealed, the energy of the fifth heaven begins a continuing, unabated process of leading the dormant self in the direction of complete healing and allowing the Authentic Self to replace the Culturally-Created Self. This process takes place at a pace that varies with each person but can feel remarkably fast, yet smooth and stable. In class during an Ignition, often the Authentic Self can become visible to inner awareness, and one may be invited to enter the Authentic Self. 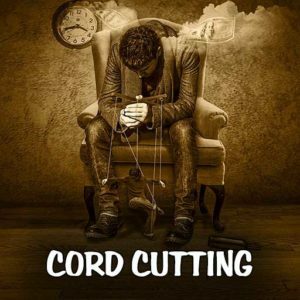 This occurrence causes the Culturally-Created Self to begin a releasing process which can be an extraordinary experience. Even though with this process a person becomes connected to and works from the higher heavens, they are still very much present in their physical body. As the energy from the heavens enters the physical body, the health and well-being of the body increases, making it more comfortable to be in your body, enabling you to deal more successfully with life, helping you solve any issues you might encounter and helping you make use of opportunities as they arise. On this level, the intellect begins a healing process. Rather than having an attitude that the ideas and knowledge one possesses makes one better than others, they begin being valued for how they can be used to improve the quality of one’s life and the lives of others including family members and society in general. In addition, a love of learning and of knowledge and its application to everyday life can develop. Improvements in communication can also take place. This involves a more thoughtful choice of words making it more enjoyable for others to listen to what you have to say. Your words may also spontaneously begin to be combined with the Holy Fire III energy making what you say feel soothing and even providing a noticeable level of healing for those you speak with. Writing can be affected in a similar way. In addition, one may develop an interest in acquiring a greater depth of understanding in topics one has previously had an interest in and also develop interest in studying new subjects. This could expand into learning to play a musical instrument, taking singing or dancing lessons, beginning an exercise program, getting involved in a new hobby, learning to play new games, writing poetry or articles for a magazine or writing a book, learning a foreign language, taking a trip to a foreign country, taking college classes and so forth. it provides an extraordinary healing experience. This level deals with healing the ego. In many spiritual and metaphysical systems, it is taught that the ego is the enemy and that it must be negated or overcome, or even killed; or otherwise, one must rise above the ego if one is to proceed forward on one’s spiritual path. It is important to note that from our observation, what is being focused on here isn’t the ego, but the unhealed ego. And for some unknown reason, even though healing is often part of spiritual and metaphysical studies, little is said about the possibility of healing the ego. However, the guidance we have been given through Holy Fire® III is that while the unhealed ego can be an impediment to one’s spiritual development, the unhealed ego can be healed! And once healed, it is no longer an impediment, but is able to fulfill a very important purpose. The healed ego is a vehicle for the expression of higher consciousness in the material world! This is a remarkable idea that we had not heard before, yet, based on the experiences of those who have taken Holy Fire III classes, it is apparent that many receive this important gift. In addition, while it is rare, there is at least one other spiritual school that has this teaching as well. Google “healed ego” and you’ll see what I mean. If our purpose is to bring spiritual values to the material world, then this can be more effectively done through a healed ego. Holy Fire® III contains the energy needed to heal the ego. This healing process happens at a pace that is right for each student and happens spontaneously without the student needing to do anything special except use Holy Fire Reiki with themselves and others. As this happens, one begins to experience higher levels of consciousness becoming grounded in one’s physical body. One also begins to have a greater awareness of higher consciousness in the material world and in everyday life. As the ego heals, one becomes less and less upset by those who are on “ego trips” and it becomes easy and natural to deal with them in a relaxed and healthy way. Often when a person is on an “ego trip,” it isn’t what they say that can be off putting, but how they say it. But as your ego heals, it is easy to hear the factual and often helpful part of the information they are communicating and then understand and make use of it in a healthy way. Doing this will also help the person on the “ego trip” to realign to a more all-inclusive state of mind. Overall, with Holy Fire III, the material world comes to be experienced as a safer, healthier and more enjoyable place to be. Searching for spirituality in a place that is disconnected from the material world can result in one becoming detached from one’s physical needs and responsibilities. This makes the process of healing our planet more difficult by encouraging an attitude of one not wanting to be here. Being able to connect with a spiritual energy that is able to express itself in the material world is a powerful solution; it encourages us to be fully present and empowers us to make a difference in world we live in. of higher consciousness in the material world! Previously in the Holy Fire system, students received three ignitions. In the Holy Fire® III class, an Ignition now replaces the pre-Ignition for a total of four Ignitions. Also, there is an enhancement in the effectiveness of each Ignition. The overall result is the creation of a system that increases one’s quality of consciousness while also providing an extraordinary healing experience. Students often find that healing takes place after the first Ignition and continues throughout the class. After class, many, report that the energy continues to develop, providing ever-greater feelings of health, well-being and confidence. The ideas in this article attempt to express what many who have taken a Holy Fire® III Reiki class have experienced; however, the introduction of this healing energy is still very new, and much is waiting to be learned and experienced. You may be wondering if the Holy Fire III class is right for you. While the Holy Fire® III system of healing can enhance your consciousness and provide deep healing, keep in mind that this class is not for everyone. 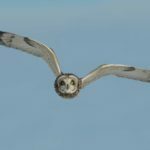 I suggest that you read this article through again, then meditate on the Holy Fire® III energy and allow your intuition to guide you in the decision that is right for you. Holy Fire Reiki is the most profound experience of my life. The ignitions were deep, gentle, life altering and are ongoing. I have been receiving profound healing since my ignition and know it will continue. I felt the Holy Fire energy coming to me as soon as I had made the decision to take the class. By the time I attended the class it was already becoming part of me. Jesus was very prominent in this healing and remains prominent in my practice. I have had some connection with Jesus in the past, but not so profoundly. The Holy Love experience on day one uncovered an area of deep healing that I was unaware needed healing. I had an uncomfortable evening and much emotional turmoil until I received the meditations of day two and the first ignition. During both, a great healing of the situation occurred. At this point I shared with the group. I felt my experience was important to share, as it was so profound. I clearly understand why the training is held over three days, as I needed to come back to class the second day. I have been unwell over the past couple of years; I usually do not openly share this. All of this is resolving now, with little effort on my part. 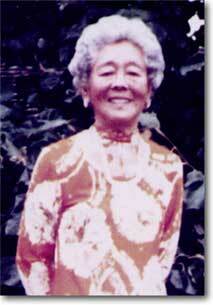 I have been a Karuna Reiki® Master teacher for a few years. I needed to retake the class for Holy Fire. When receiving it this time, with the Holy Fire, I saw the last four symbols become part of me during the last ignition. Shanti is at my third eye, Gnosa is at my crown, Iava is at my throat chakra, and Kriya is on either side of my torso. They are there, solid and more a part of me than my body itself. I know they will always be with me, even when I leave my body. Thank you so much for being open to receiving, nurturing and sharing Holy Fire Reiki. I am teaching a three day, Holy Fire Karuna Reiki® class this weekend. Nancy has practiced Reiki for 10 years and been a Reiki Master for 8 years. I have a renewed energy for self-treatments. I am focusing a lot on the solar plexus… It’s an extraordinary journey, and I am honored to be part of bringing this energy more into the world. Physically: About two months before learning about the Holy Fire I was experiencing a “burning” sensation in different areas of my body. I received Reiki, massage, cranial sacral therapy and it would lessen, but the sensation would return. After attuning and ignition of Holy Fire, I realized that the burning was actually a purification happening in my body. I now occasionally experience a burning sensation in different areas of my body where I have had past injury or pain, the burning is mild and when it subsides (quickly), and there is complete healing. Although my ego still occasionally raises some “what ifs” and “how” questions. I simply acknowledge the related issue and Holy Fire ignites complete trust and peace as this great gift and blessing unfolds. My initial response to the news about this new energy called Holy Fire was excitement. That excitement quickly turned to doubt (if it was so great, why would I be included in this?) and then resistance. The name Holy Fire brought up childhood issues related to the Catholic religion and my experiences as a student at Catholic school. Clearly, these issues were presenting themselves as ready to heal. Complete healing happened throughout the week as my feelings and views began to soften. These issues were very deep, yet the healing was gentle and complete as no emotional charge remains for me. Each morning I started my day with a short meditation, using the Holy Fire symbol in each of my primary chakras, asking that whatever is ready to heal present itself. I asked that all healing be gentle and benevolent. Issues rose from my chakras – I don’t know what they were most of the time – and the Holy Fire burned them quickly. I was feeling clear and renewed more and more as the week went on. The colors and energy of Holy Fire express themselves to me in a way I’m not able to explain with words as it’s more of a deeply loving feeling and something beyond the material world. The Holy Fire symbol has given me new ways to work with the energy. For example, when I am counseling couples, I can easily move the Holy Fire energy through both partners at the same time even while I am speaking with them. Before, I would just visualize a symbol between them but it hadn’t occurred to me to try this new technique that the Holy Fire seemed to have suggested to me. This new technique calms the couple and helps them to solve problems. A case that I thought would be destined for divorce is working out! 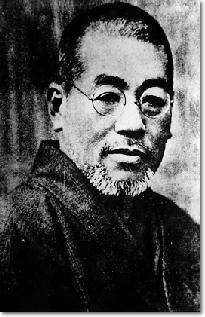 Reiki is a form of complementary therapy that emerged in Japan in late 1800 and was later developed by Mikao Usui in 1922. It reduces stress, helps to relax and also promotes healing. It involves the transfer of universal energy from the practitioner’s palms to their patient. Reiki is not a religion but it is spiritual in nature. Practitioners are not asked to change any religious or spiritual beliefs they may have while practicing Reiki. They are free to continue believing anything they choose and are encouraged to make their own decisions concerning the nature of their religious practices. Does one have to stop medical or therapeutic treatments in order to receive Reiki? What does it feel like to give a treatment? Yes, this is one of the wonderful benefits of Reiki and is why it is such a wonderful technique for the new millennium. It allows individuals and groups to do something positive about the challenging situations we see on the news involving so many people all over the planet. Reiki can be used to reduce suffering and help people anywhere in the world. A Reiki treatment usually will cost between £30.00 and £80.00 depending on the area of the country. However, some practitioners offer treatments free of charge or for a donation. 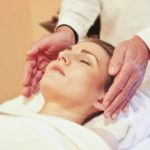 Can a person make a living from Reiki? Does insurance cover Reiki treatments? Reiki does not depend on one’s intellectual capacity or spiritual development and therefore is available to everyone. It has been successfully taught to thousands of people of all ages and backgrounds. Reiki is very simple to learn, and the ability to use Reiki is transferred to the student during a Reiki course. This ability is passed on during an “attunement” given by a Reiki master and allows the student to tap into an unlimited supply of “life force energy” to improve one’s health and enhance the quality of life. Reiki classes are taught all over the country and in many parts of the world. If you are interested in learning Reiki please click here to check our teaching schedule. In the Usui/Tibetan system of Reiki taught by us, there are four levels. These include one, two, Advanced and Master. -> How long have you been working with Reiki? What training have you had? How often do you teach? 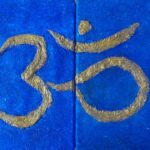 How do you personally use Reiki? What is your lineage? 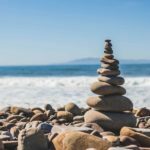 -> What qualifications are required to take Reiki Training? -> What do you cover in your classes? How many hours of class time is included? How much time is instructional, and how much is hands on practice? -> What are the specific things I will be able to do after taking the training? -> What are your fees, and will I get a certificate and a manual? -> Can I take notes and tape record the class? -> How many symbols will I learn? 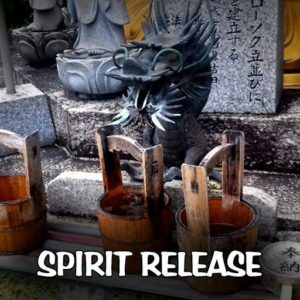 -> Is there a Reiki support group in my area or can you help me establish one? -> Will you openly support me in being a successful Reiki practitioner or Master? -> Do you have a positive respectful attitude toward other Reiki practitioners and Masters regardless of lineage or affiliation? Can you get more than one attunement? I am a Usui Reiki level 1 practitioner. 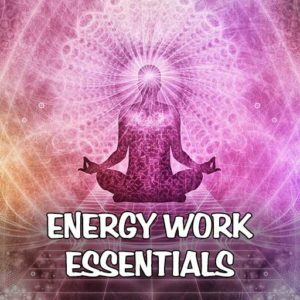 Do I need to take the Energy Work Essentials in order to book other workshops? If you have qualified as a Usui Reiki level 1 practitioner by taking part to one of my two-day Usui Reiki level 1 courses I offered until 2018, you will not need to enrol on this workshop before moving onto the other Reiki workshops that I offer.